Portability, convenience and performance, all in one. Lightweight, high performance, easy to use and best of all, foldable for convenience. Simply unfold your frame for storage and transportation with an easy to use center latch. 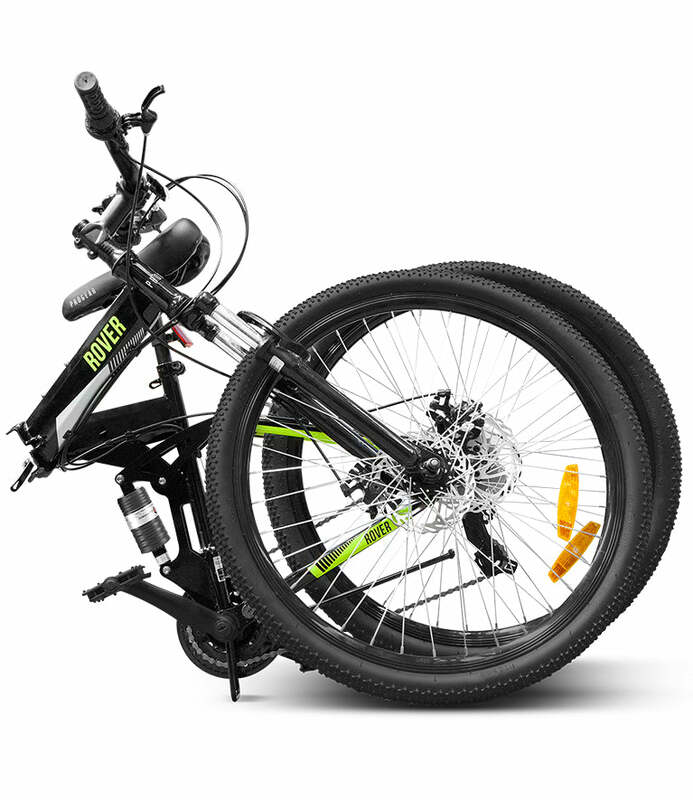 With front and back suspension, you'll be able to chew up bumpy and uneven terrain with ease. Grip shift microSHIFT makes it super easy for every-day commuting. Simply twist to gear up or gear down. We know these bikes can be folded up and tossed around, we've chosen less intrusive, integrated grip shifters. No protruding big thumb shifters that can be prone to impact/damage. Our 21-speed reliable Shimano drivetrain comes with great gearing ratios to tackle any MTB environment. tough terrain. 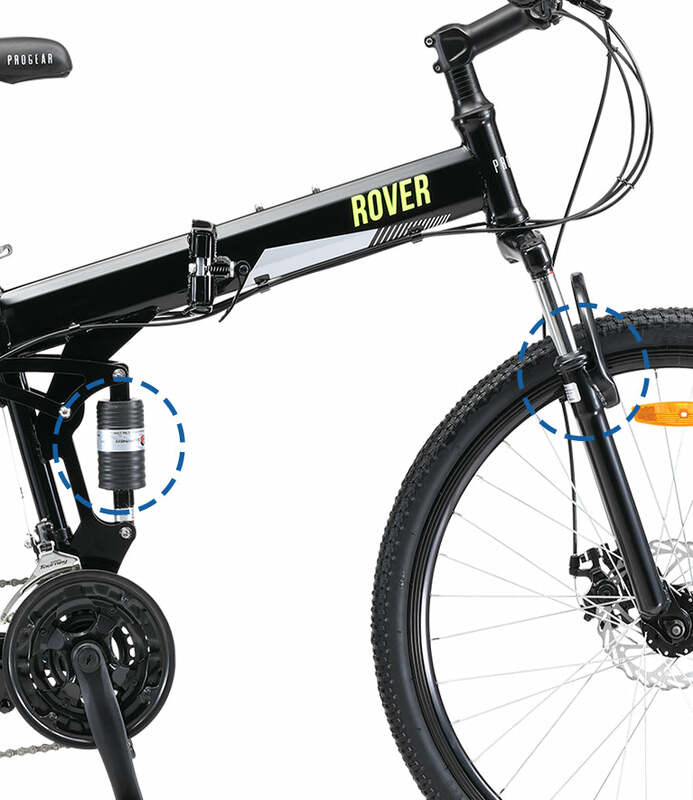 That's why our Rover comes with Disc brakes for consistent, high-powered braking performance. Double wall alloy rims to provide excellent strength and reliability, and tough rim walls help with the braking performance of the V-Brakes. Comfort tread tyres to provide a smooth riding experience, as well as less rolling resistance for greater efficiency. Making the right adjustments is easy - quick unlock and re-lock on the seat height or handlebar height using the alloy seat-post clamp.